Do you believe that companies operating with a high degree of corporate integrity make better investment choices? Do you wonder what is going on at the intersection of Investment and Values? For an increasing numbers of investors, making the connection between money and meaning makes good sense! Are Investment and Values two discrete domains that should be addressed separately? Or are they intertwined domains that should be addressed together? 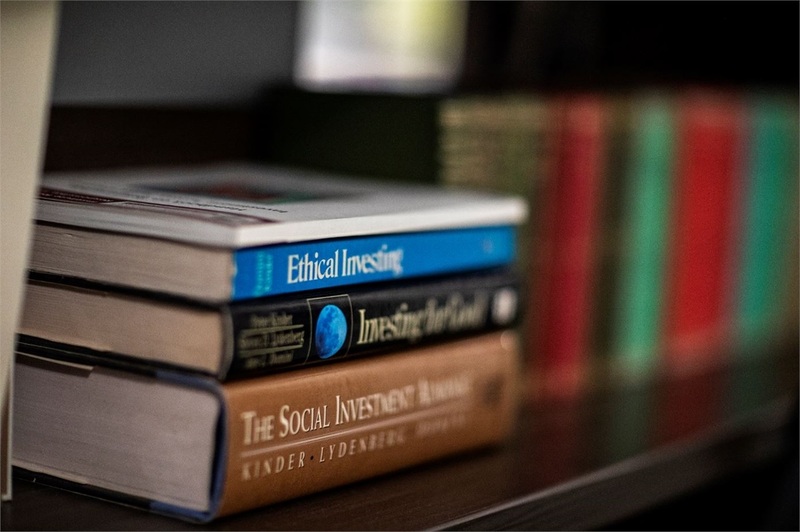 Many of our clients grapple with the social and ethical implications of their investment decisions and have developed a keen interest in social investment,. This has been a focus of Responsible Investment Group since its inception. When requested to do so, we assist our clients in aligning their resources with their core beliefs to the extent possible. All investors seek to screen potential investments according to rigorous financial screens. Social investors go a step further. After screening in investments according to financial criteria, they seek to screen again for ethical and social impact. The goal: maximize both financial return and social good. There are three approaches to social screening. Avoidance Investment: "Not with my money you don’t!" This first generation of social investment seeks to avoid ownership of businesses involved in products, services and practices inimical to the investor’s values. Affirmative Investment: "Doing well by doing good." This approach seeks out opportunities for impact. Some companies are selected for their cutting age initiatives yielding outsized financial and social outcomes. Such companies are particularly attractive to ‘affirmative’ social investors. Activist Investment: "Ownership as leverage." Activist investors believe that stock ownership offers them standing to challenge a company’s social and ethical practices. As shareholders, they may demand accountability and seek dialogue with management over company products, services and practices. The goal is to use shareholder leverage to persuade companies to make critical changes. Are there any social or ethical issues you wish to bring to bear on your investment decisions? This is a question we routinely ask our clients and prospects. When such concerns surface we explore how to honor them. The hoped-for result: a portfolio aligned, to the extent possible, with core values. The return may be lower than if the adviser made decisions based solely on investment considerations. Do you believe that our stewardship of the planet should play a critical role in investment decisions? We encounter a swell of interest in the environment as a critical investment theme, reflecting both attractive potential return and burgeoning personal responsibility for the planet. There are two discrete approaches to environmental investment. Some investors envision environmental investment as an attempt to participate financially in the groundswell of interest for environmentally-friendly products and services. Alternative energy has captured a great deal of interest, for example. Others envision green investment as a potent tool for personal and cultural transformation. Plenty of investors share both of these perspectives. On the one hand, there are social investments intensively screened according to environmental screens. On the other, there are investment strategies that focus on investing, for example, in energy initiatives without specific regard to the environmental impact. Are there any environmental concerns that you wish to bring to bear on your investment decisions? As with social investment, this is a question we routinely ask investors. Efforts are made to honor such values in portfolio construction. The hoped for result: a portfolio aligned, to the extent possible, with core environmental values.